The Rise of Phoenixes is a 70-episode series loosely based on Huang Quan, a novel by Tianxia Guiyuan, and co-produced by Netflix along with Croton Media (China Syndication), K. Pictures, Hao Mai Culture, Iqiyi, COL Group and New Film Association. This is a story of power, desire, lust and love amongst people from different kingdoms in ancient China, all with the desire of rising to become The Great Phoenix. Ning Yi (played by Chen Kun), is the sixth prince of kingdom who hides a dark past. Feng Zhiwei (played by Ni Ni) hides her true identity and has to cross-dress to survive in the male-dominated world. 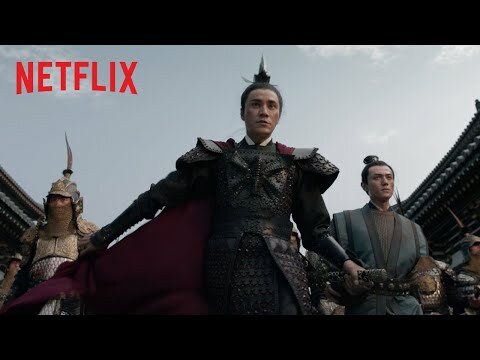 However, when a secret from the past rears its head, respected warrior Feng Zhiwei is forced to choose between revenge and her loyalty to ruling prince Ning Yi. The Rise of Phoenixes Season 1 was released on Netflix 224d ago in the US and the UK. Notify me when The Rise of Phoenixes Season 1 is available.